I was the matron of honor for my wonderful friend Tonia’s wedding, the author of Itty Bitty Impact. 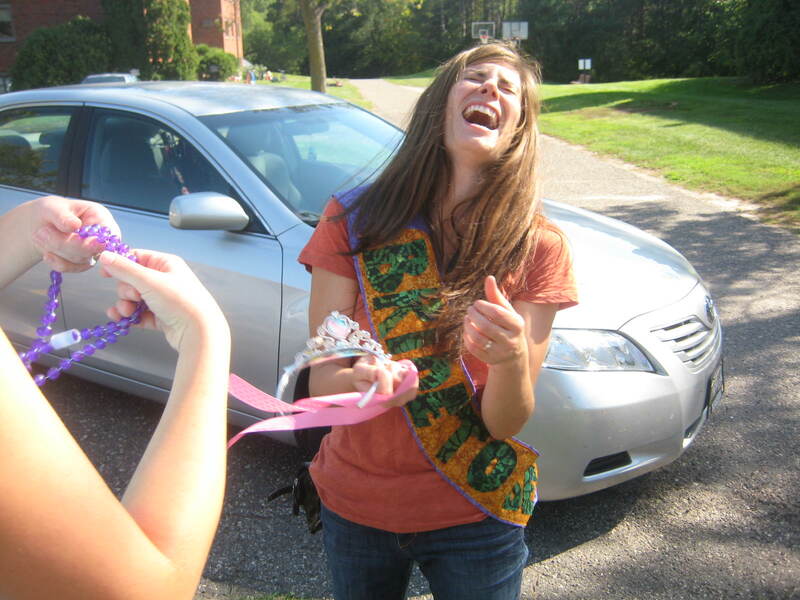 So therefore I had the duty of throwing her a rip roaring bachelorette party. 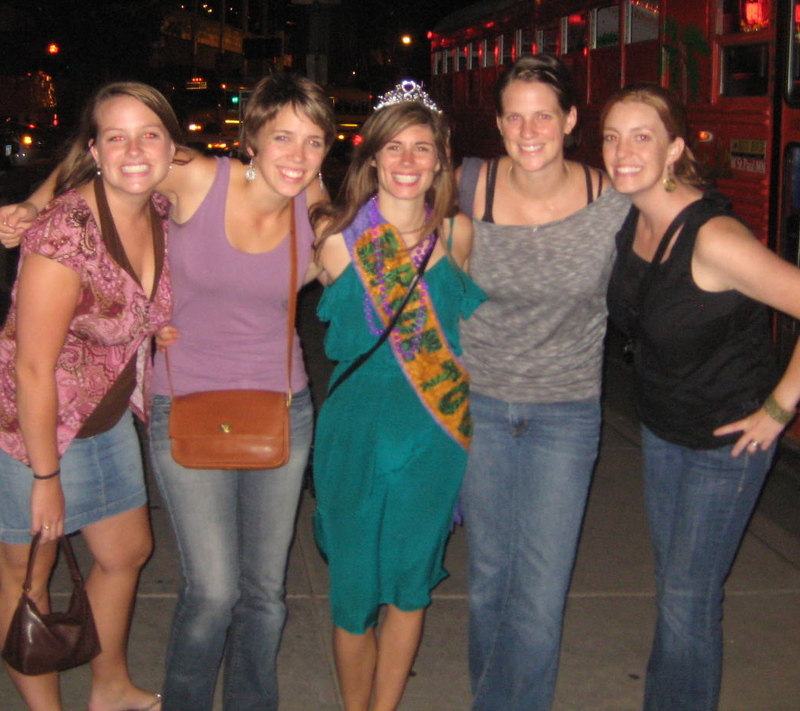 Since I had never thrown one of these such parties I was a bit overwhelmed but also excited about a chance to hang out with friends and have a fun night out in Minneapolis. 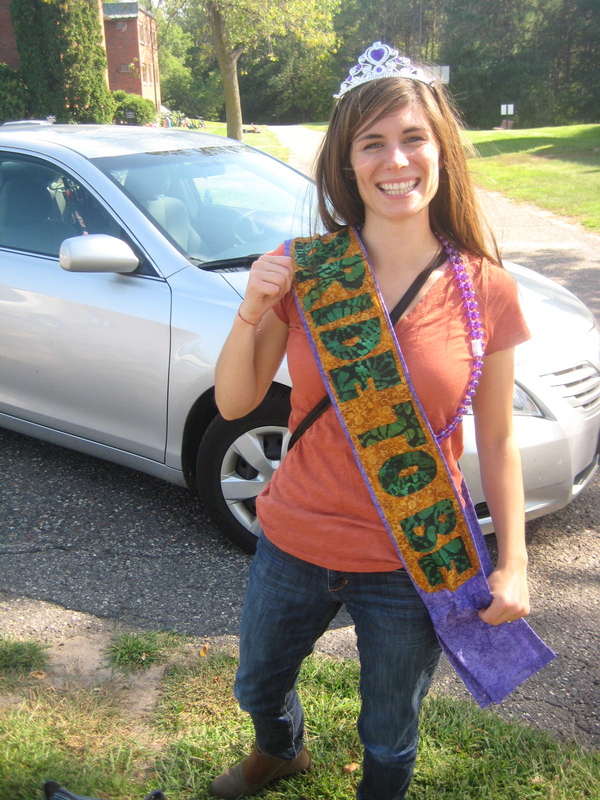 The activities I was in charge of organizing were horse back riding, dinner at Pizza Luce, and drinks around the town, so I thought I needed to make her a pretty sash for the festivities. 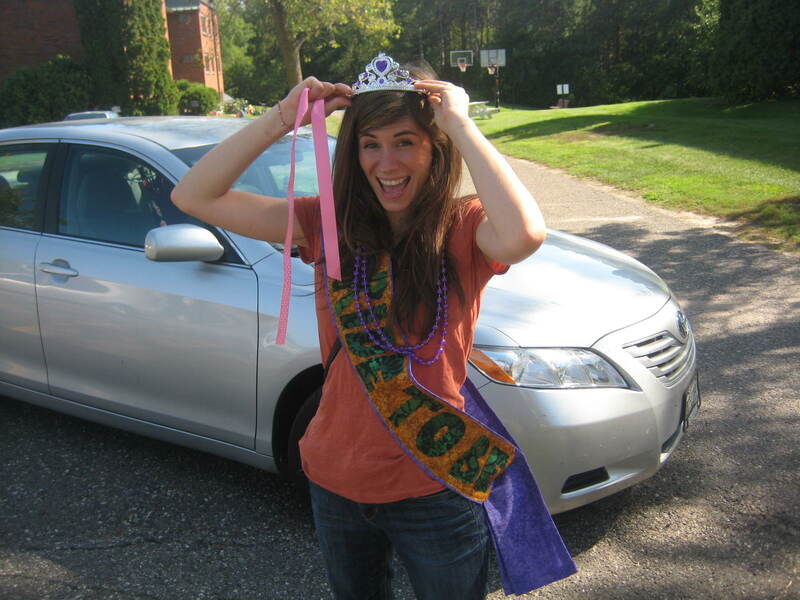 This is a picture of her opening the package involving some necklaces, Aleah’s princess crown and a fun sash to wear throughout the evening. 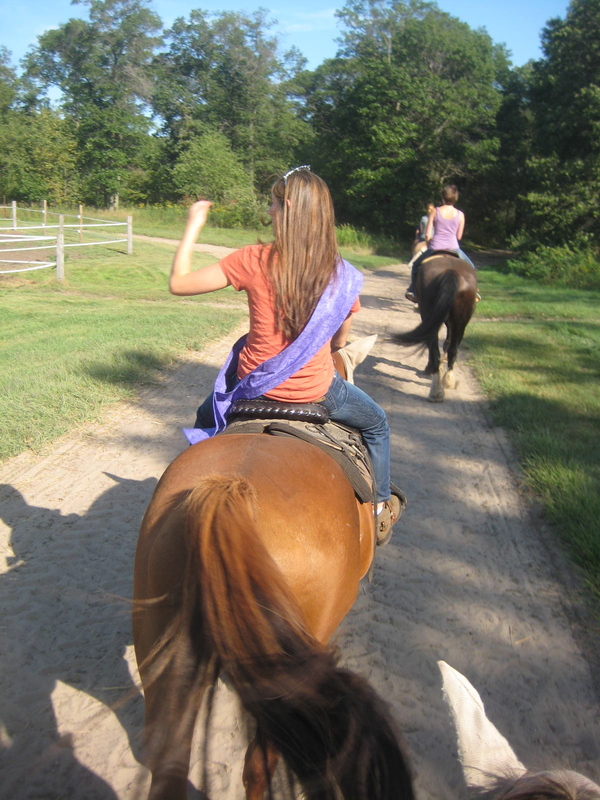 How cool is Tonia to want to go horseback riding for the kick off of her bachelorette party? Pizza Luce excitement and then walking around downtown Minneapolis. 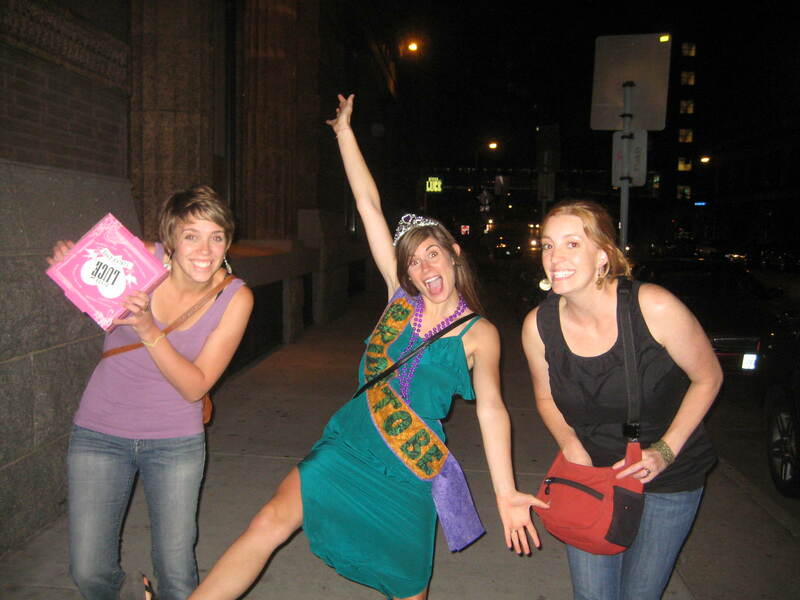 There is one fun and easy craft that got around to some fun places for Tonia’s bachelorette party. 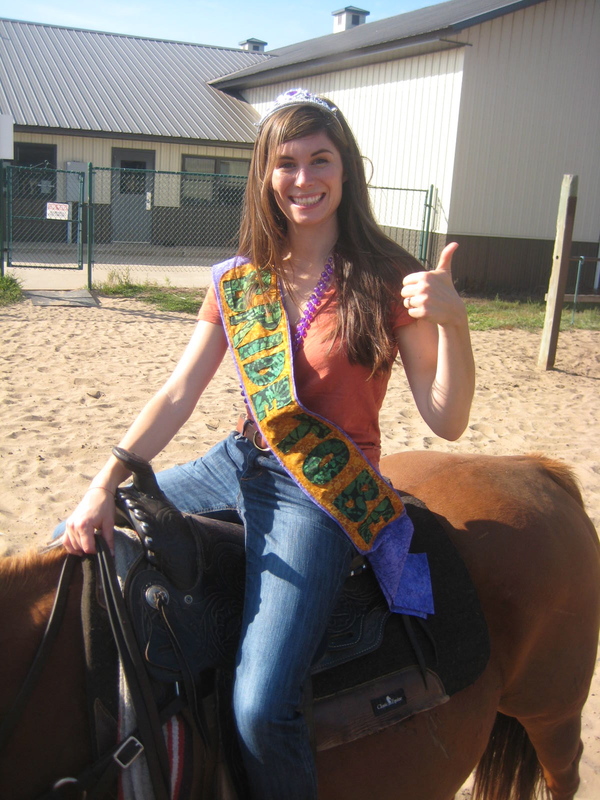 I LOOOOVE my sash!!! And you did the most fantastic job of making that whole day awesome for me. Thanks so much Cait!! 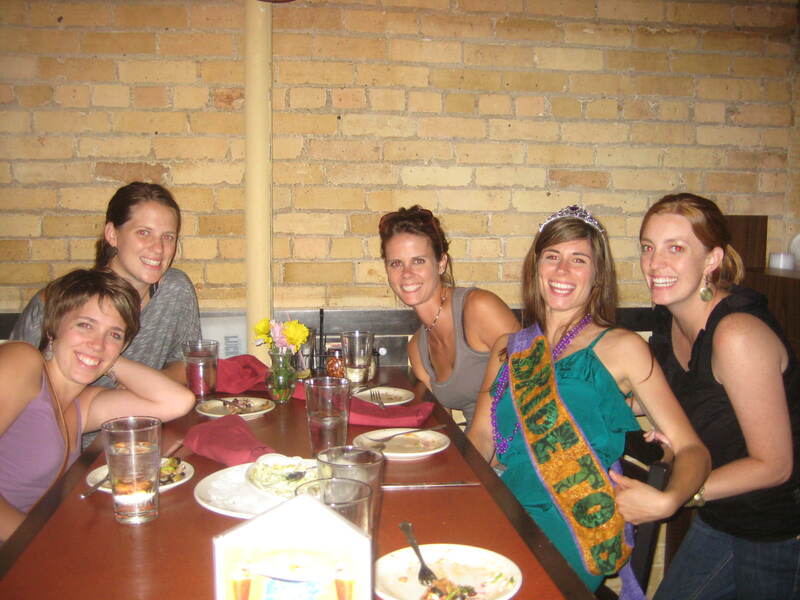 Best MOH ever, ever, ever. That was truly a great day with my favorite girls.